I’ve been busy creating a new 4-part mini-series on recording and mixing acoustic guitar. Enjoy! Click here for a free Recording Cheat Sheet. 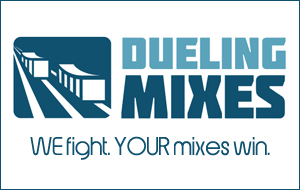 Before you check out Speed Mixing, though, you and I need to have a little chat. “What’s with the emphasis on speed, Joe?” you might ask. Speed isn’t everything, but it IS important. I make music because I want to express myself, connect with others, and have an impact. I can’t do any of those things without finishing and releasing music. The most common complaint I hear from people is that they don’t have enough time, and they struggle to finish projects they start. If that’s true of you, that you don’t have much time for music, and you struggle to make the best use of that time, then becoming faster at your craft is almost an absolute necessity. Are you the type of person that just dives into mixing without taking the time to really think about what the song needs? You’re not doing yourself any favors. In fact, I would argue that you’re spending more time mixing that way than with the way that I’m about to tell you. You see, all too often we tend to reach for our plug-ins before we really think of what we’re going to do with them. It’s like a knee-jerk reflex to slap an 1176 on the kick drum, or add a 5 kHz presence boost to the lead vocal. You can probably think of more ways that you “automix” every time you pull up a new song in your DAW. Well, how about I give you a different method that actually helps you get a great mix before you even slap on ANY of your favorite plug-ins. Cutting the Lows on a Kick Drum?? This week for my final installment of Presonus Live, I continued the mix of “Behold,” focusing specifically on electric guitars.